Here’s your chance to Play Santa with Laurel Hill’s Holiday Stocking Stuffers! For the month of December, we are featuring two of our most popular closeout items at special holiday prices. 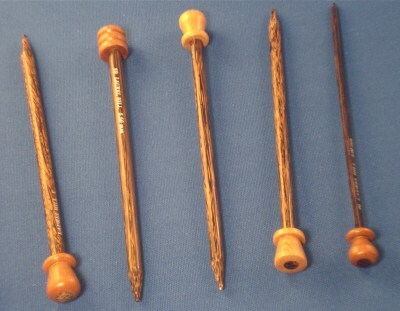 Coconut Palm Knitting Needles at $5.00 per pair or buy 3 get the fourth one free. Sizes 9, 10, and 13. And our decorative scarf pins are now holiday priced supplies are limited and subject to prior sale. Holiday prices end on Jan 1st 2012. A few weeks ago we talked about the inspiring work that Krochet Kids and Nordstrom are doing all around the world. But who are these Krochet Kids? Among other things, my older brother taught me how to crochet. Shortly thereafter I passed the skill onto my friends Travis and Stewart. Being avid snow sports enthusiasts, we liked the idea of having our own unique headwear on the mountain and, though it was not a normal hobby for high school guys, we reveled in the novelty of it. Before long our creations caught the attention of our classmates and we began taking custom orders and selling our crocheted masterpieces to anyone who would buy them. It was a local newspaper in our hometown of Spokane, WA that officially dubbed us the “Krochet Kids”. At that time our only expense outside of yarn and hooks was a hot-air balloon ride for our prom dates. With that, one chapter of our story was closed. College found us three friends at different schools. Although there were brief resurgences of the crochet craze amongst new friends, we ultimately began exploring new opportunities — surfing, traveling. During our summer breaks we volunteered in various developing nations, hoping to gain a better understanding of the global community in which we lived. It wasn’t long before we came to realize how blessed we had been growing up. The desire was planted within us to help. To reach out in love. To make a difference. It was around this time that an idea was born. One which involved a familiar trade. Friends and family encouraged us to teach people in developing countries how to crochet as a means of breaking the cycle of poverty. At first, I thought the world needed something more drastic than crochet, something much more profound. That was until Stewart returned home after a summer spent in Uganda. Stew told us about a people that had been living in government camps for over 20 years due to a rebel army that had ravaged the north part of the country. Entire generations grew up only knowing the camp and relying solely on the government and aid organizations for their every need. They were sick and tired of being dependent upon these operating bodies and they wanted to work and provide for their own families. It was then that we realized the simplicity of crocheting to be its most profound quality. With hook and yarn people could make amazing products. Being paid a fair wage to do so would allow for them, for the first time, to provide for their families and begin planning for the future. By teaching these people to crochet, we would be empowering them to rise above poverty. We decided right then that we were going to do exactly that. The Krochet Kids quickly grew beyond us to incorporate close friends who shared this desire to see Northern Uganda transformed by hook and yarn. 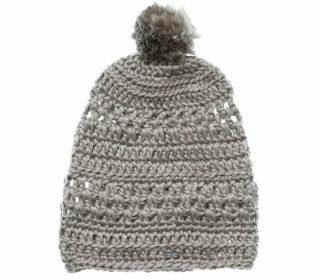 Halfway through college at this point, we applied to become a non-profit organization and began crocheting again to sell hats and share our vision for what we planned to do. The following summer, after countless skype meetings and late nights, we found ourselves sitting in a simple brick hut with a group of Ugandan women and bags full of yarn. What followed thereafter remains to be one of the most surreal experiences of my life, as we watched these ladies nearly master crocheting before our eyes. Tears, primarily from Stewart, were in abundance.